I read a very interesting article this week about preparing for job interviews – not for me, of course (!) but the author made a very interesting comment. 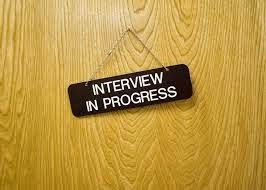 That unlike when sitting an exam or a driving test, giving the correct answer is probably the last thing you want to do when having an interview. The rationale is that when sitting GCSEs, there is a fair assumption that numerous people will pass the exam on any one day but with a job interview, only one person can get the job, so the last thing you want to do is give the same answer as everyone else. Instead, you want to stand out. I can see the point: the biggest problem I face after a day of interviews is that candidates blend into one another – because most people dress smartly and speak politely for an interview, you need clues to remember which applicant was which. Your aim at a job interview is to make an impression. Some good advice I was given when meeting MPs at a function is to always go up to them and say “good to see you again”. Politicians meet so many people they could never hope to remember them all, yet worried that you may be someone important, they will always respond with a “yes – how have you been keeping”. The same is true of brands. With a few exceptions, brands are shouting out to prospective purchasers for a solus purchase. To do this, they need to differentiate, to stand out and not be a ‘me too’. They need to make a statement; they need a memorable proposition; they need to be the ‘tall, dark, sultry one that rides a motorcycle’ of the job interview world. However, just like so many people at interview, this rarely happens. Too many seek to imitate the market leader; they attempt to justify why their product is cheaper, faster, tastier than the others being considered. While I’m sure brand managers will argue that research proves customers want reassurance that their purchase is the right one, I would contend that this is what got marketing into the mess it is in right now with price being the primary differentiator. So go on, make an impact – no one got their job by being shy. This article is a repeat of this week's Secret Marketer column in Marketing Week.